FARMINGTON — Gloved hands sifted swiftly through bags of trash Wednesday, finding paper, disposable cups, foil-lined granola-bar wrappers and uneaten food that could have been recycled. 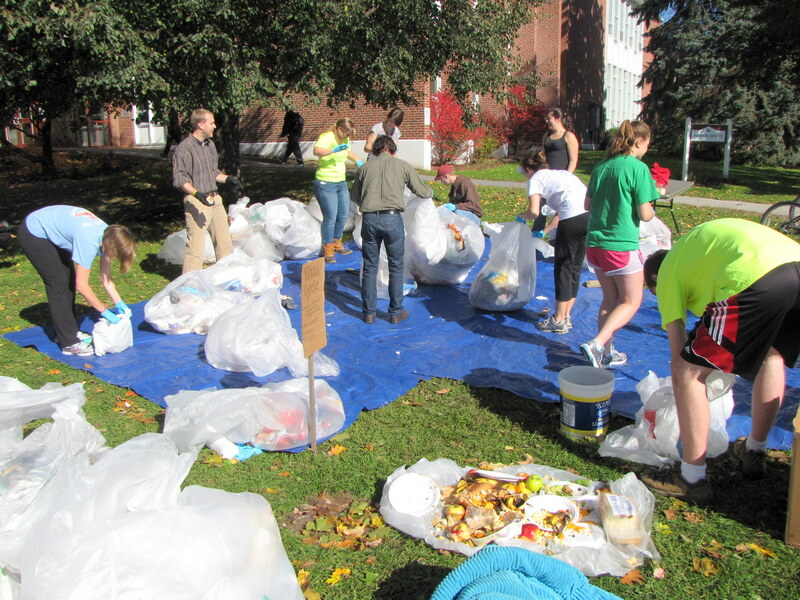 For the fifth year, members of the Sustainable Campus Coalition at the University of Maine at Farmington rummaged through bags of garbage collected over a 24-hour period in campus residence halls. They separated recyclables from trash and for the first time, garnered items such as business folders that the on-campus Everyone’s Resource Depot could take for resale. They also looked for Solo cups, pouch drink containers and granola wrappers that can be “upcycled” — converted to new materials of better quality or better environmental value — and sent to TerraCycle where they are used to create usable items. TerraCycle provides free waste collection programs for hard-to-recycle materials and turns the waste into “affordable green products,” according to its website. 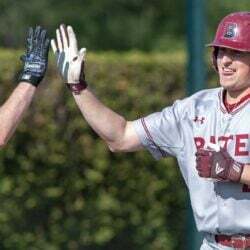 Students are looking for things such as backpacks, bags, newspapers, pencils and plastic picnic tables, said Joe Digman, an intern with Sarah Martin, an adjunct professor at UMF. Martin is also volunteer coordinator of TerraCycle for the United Way of the Tri-Valley Area. 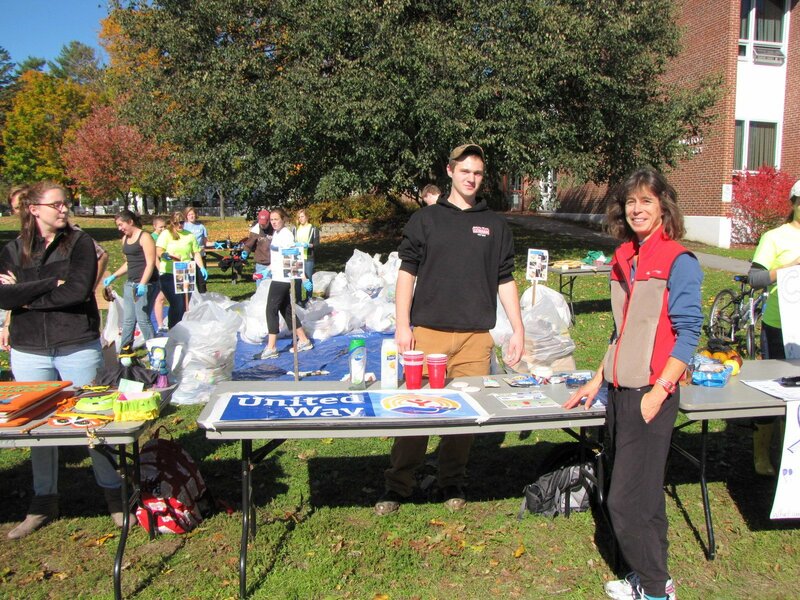 UMF is working with the United Way to start upcycling on campus, with all donations used to benefit the local region. Cups, wrappers, beauty products and packaging, oral care products and pouch drinks are collected and shipped to TerraCycle, which pays a stipend to benefit the agencies supported by the United Way. A purple collection bin for such items sits outside the United Way door on Broadway. 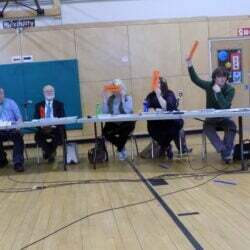 “It’s a win-win,” Martin said. Items that would normally add to landfills are reused, producing less trash and less impact on the environment. The effort also produces a modest, steady income for the United Way, which helps local people, she said. Digman has helped set up three bins on campus. Adding more bins is being considered, he said, manning a table that displayed items that can be upcycled. Sustainable Campus Coalition members were finding a lot of foil-lined granola wrappers, No. 6 plastics and Solo cups, senior Sarah Lavorgna said as she helped separate trash. Students Samantha Ritson, Jasmin Heckler and Emily Vitone staffed a table for Everyone’s Resource Depot where they displayed artistic items created from materials found at the depot. 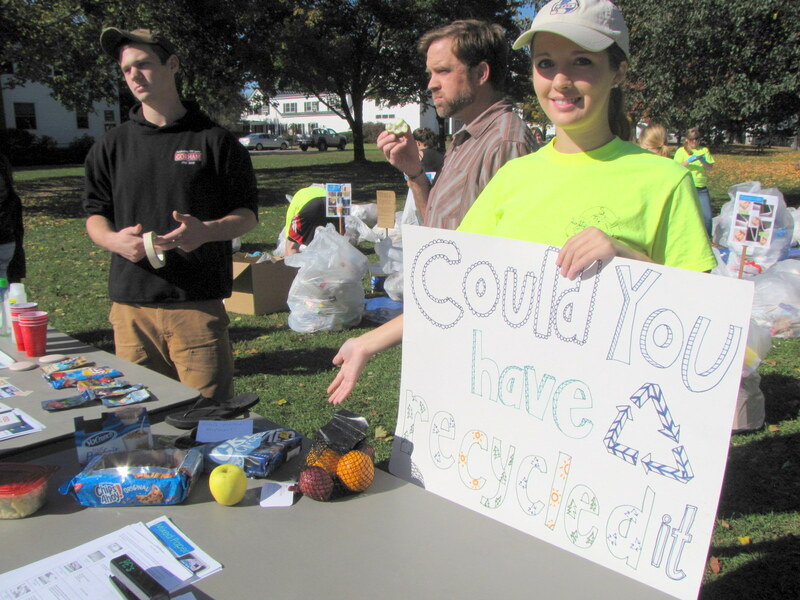 The trash day, sponsored by the SCC, has shown a decrease each year in items that can be recycled, said Kaisha Muchemore, a UMF senior and co-coordinator of the campus group. The decrease indicates the exercise is effective, Muchemore said. Last year, about 30 percent of the trash could have been recycled, she said. 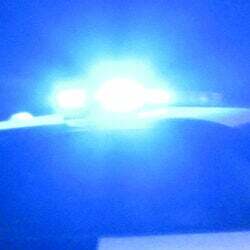 The group was hoping to lower the percentage to 20 percent or less this year, SCC coordinator Luke Kellett said. Members have met with Sandy River Recycling Manager Ron Slater to better understand which items the facility can recycle. They also are working on a food event set for Saturday, Oct. 27, at the Farmington Grange Hall involving local farmers and local food sources, Kellett said. The group also intends to hold another Fiddlehead Festival in May.